World-class grade graphite deposit grading 25% C(g) (TGC) available for further development. Deposit is hydrothermally deposited in volcanic breccia, suggesting that it is likely high quality pristine graphite. Located 60 kilometers west of Thunder Bay, Ontario Canada. Property has all-weather road access, 50 kilometers to a shipping port. 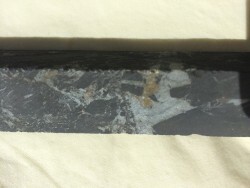 Rockstone Graphite Deposit hosts hydrothermally-deposited graphite hosted in volcanic breccia. The discovery diamond drill hole returns 25.0% C(g) over 24 meters with 1% combined copper and zinc. Flotation testing by SGS Labs indicates 65% graphite recovery by ball milling to particle size of 12 microns. Further reduction in particle size by high energy milling liberates much more carbon. The existing claim group covers approximately three square miles with excellent access and infrastructure. The area is largely underlain by mafic to intermediate metavolcanic rocks in sheared contact with clastic metasedimentary rocks to the southeast. An extensive zone of felsic metavolcanic lapilli tuff is present in the central portion of the claim group near Weigand fault. Numerous small gabbro intrusions and lamprophyre dikes are present. A large gabbro intrusion is located near Rockstone Lake. Several occurrences of volcanic chert breccia are exposed nearby. Chemical metasedimentary rocks on the property are largely composed of magnetite-jasper ironstone, chert and chert breccia. Breccia zones near the fault host gold, copper and graphite mineralization. A regional-scale shear zone trends NNW through the claim group. Gold and copper mineralization is associated with brecciated shear zones and quartz carbonate veining hosting sulphides. Follow up diamond drilling of targets produce by an airborne VTEM survey resulted in discovery of an extensive graphite horizon which returns 25.0% graphite (TGC) over 24.0 meters with 1% combined copper and zinc. 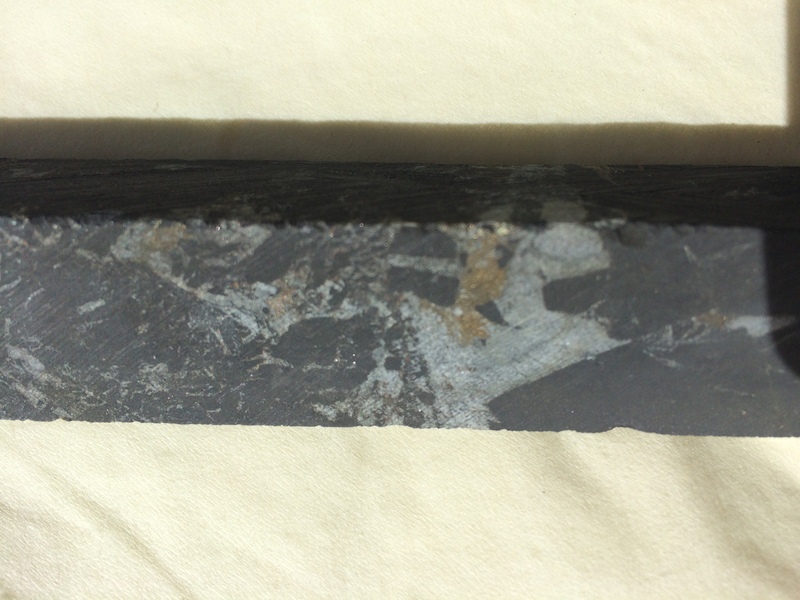 Preliminary testing by SGS Labs indicates 65% graphite recovery by grinding to 12 microns. Finer grinding liberates much more carbon. Graphene may be producible in vast quantities. Further work is underway to improve graphite recovery through micronization processes. Delineation of the deposit by diamond drilling is highly warranted. The Rockstone Graphite Deposit is not available at this time.